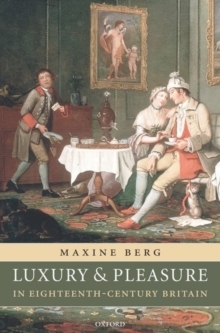 Luxury and Pleasure in Eighteenth-Century Britain explores the invention, making, and buying of new, semi-luxury, and fashionable consumer goods during the eighteenth century. It follows these goods, from china tea ware to all sorts of metal ornaments such as candlesticks, cutlery, buckles, and buttons, as they were made and shopped for, then displayed in the private domestic settings of Britain's urban middling classes. 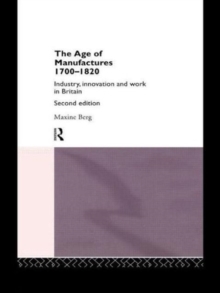 It tells the stories and analyses thedevelopments that led from a global trade in Eastern luxuries beginning in the sixteenth century to the new global trade in British-made consumer goods by the end of the eighteenth century. These new products, regarded as luxuries by the rapidly growing urban and middling-class people of the eighteenth century, played an important part in helping to proclaim personal identities,and guide social interaction. Customers enjoyed shopping for them; they took pleasure in their beauty, ingenuity or convenience. All manner of new products appeared in shop windows; sophisticated mixed-media advertising seduced customers and created new wants. This unparalleled 'product revolution' provokedphilosophers and pundits to proclaim a 'new luxury', one that reached out to the middling and trading classes, unlike the elite and corrupt luxury of old. Luxury and Pleasure in Eighteenth-Century Britain is cultural history at its best, built on a fresh empirical base drawn directly from customs accounts, advertising material, company papers, and contemporary correspondence. 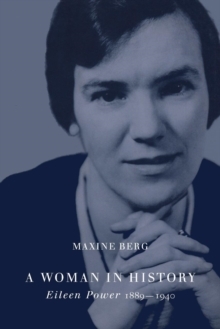 Maxine Berg traces how this new consumer society of the eighteenth century and the products first traded, then invented to satisfy it, stimulated industrialization itself. Global markets for the consumer goods of private and domestic life inspired the industrialrevolution and British products 'won the world'.